It's 1797, and the English frigate Avenger sails wartime seas, ready to engage the French navy in the broadside-for-broadside of combat. But there's another warfare going on, a conflict aboard the king's ship. 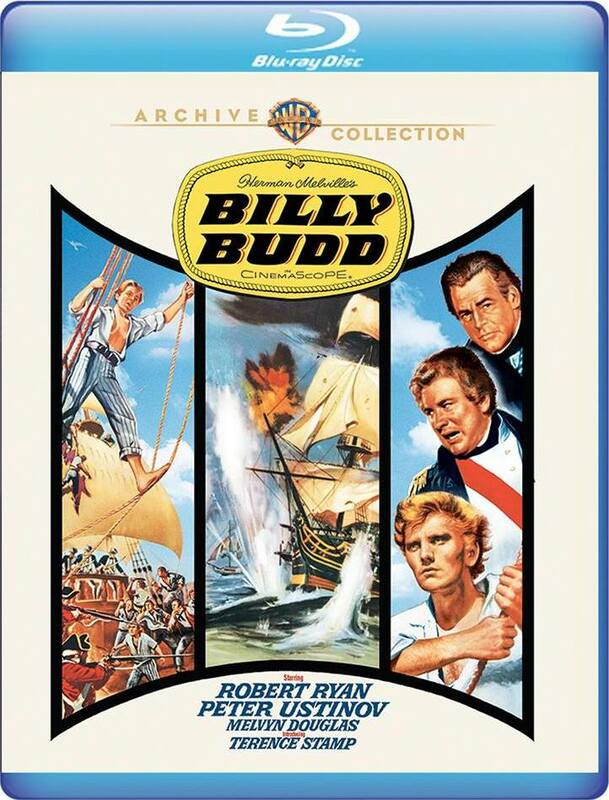 It's the battle of good versus evil, the powerful theme of Herman Melville's seafaring Billy Budd. Film-debuting (and 1962 Best Supporting Actor Oscar® nominee) Terence Stamp plays the title role, an archetype of goodness on the man o' war. Robert Ryan portrays the master-at-arms, efficient and cruel - especially so to young Billy. And director Peter Ustinov plays the captain caught between the inevitable clash of polar opposites. Will good triumph? Perhaps not in Melville's world. Perhaps never in a merciless time of war.